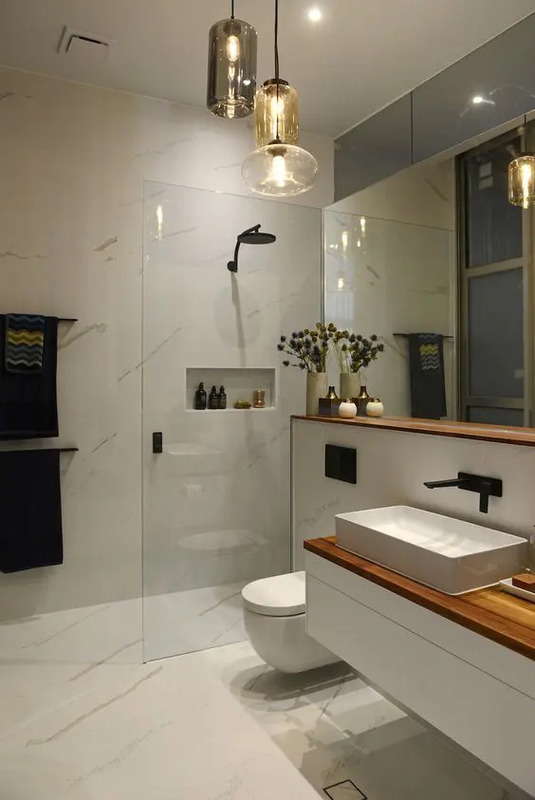 Of all the fields of industrial design, lighting seems to evolve the quickest as designers harness innovations in materials, manufacturing, and technology. 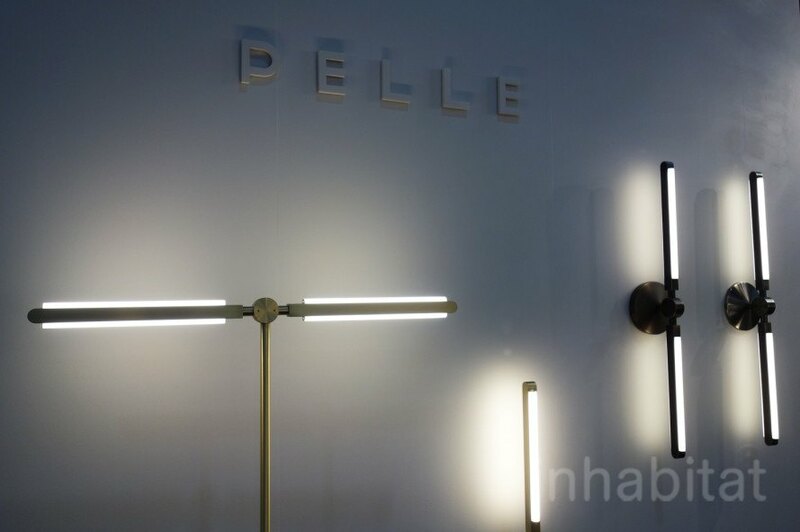 We recently hit the shows of NYCxDesign to bring you a first look at some of the world’s freshest lighting designs – including lamps that sustain life, wild experiments with new materials, and interactive lamps that respond to touch, movement, and music. 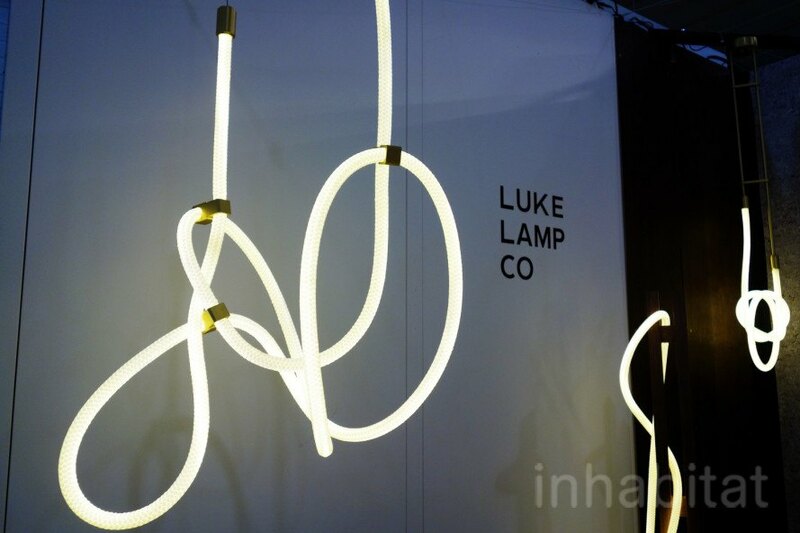 Check out 13 of our favorite lighting innovations from Sight Unseen Offsite, Wanted Design, and ICFF after the break. 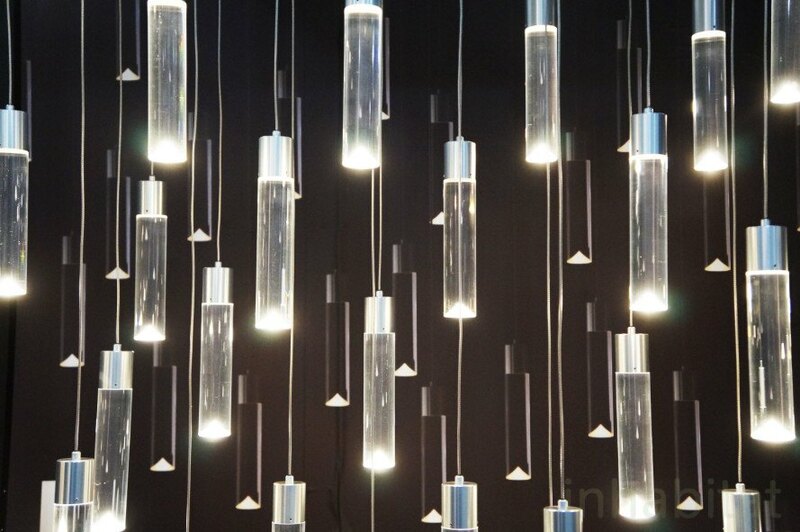 The Principals teamed up with Calico Wallpaper to create a mesmerizing chandelier that reacts to human touch. 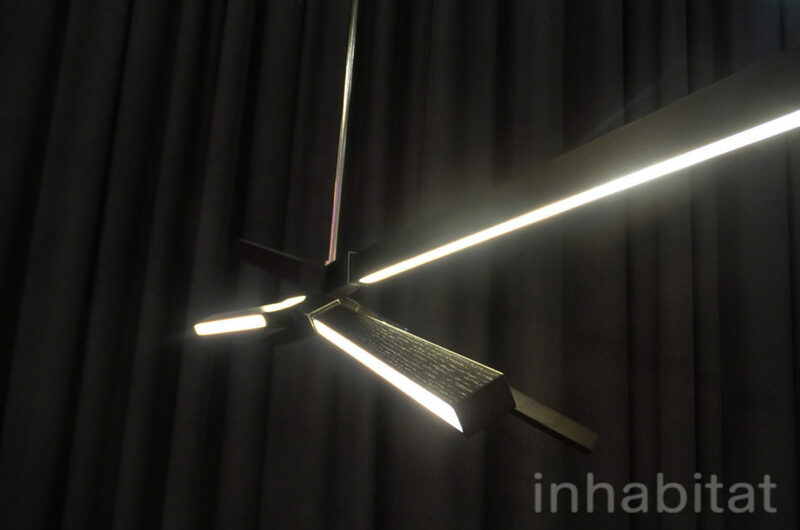 The lamp’s long tendrils are fitted with capacitive sensors that read your body’s electric charge and then interpret it with flashing lights and sounds from nature. Stickbulb recently debuted a gorgeous new line of LED lighting made of wood salvaged from New York water towers. Their Double Boom fixture is made of reclaimed redwood that has been carbon dated to be three centuries old. 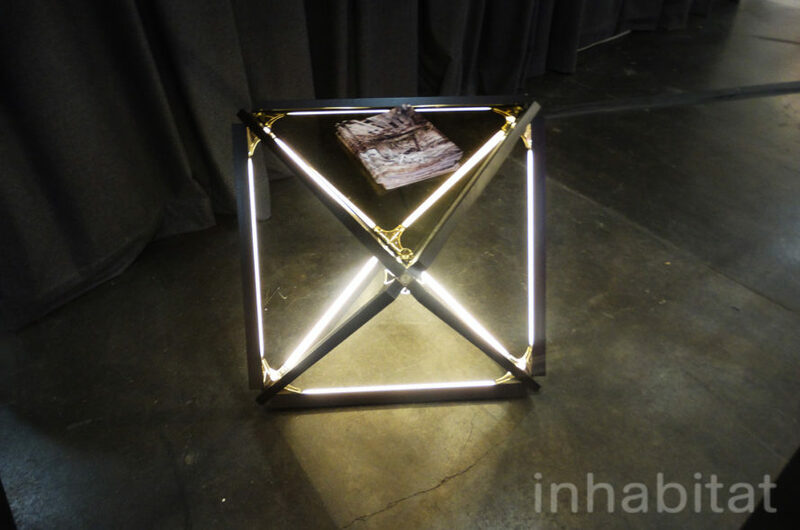 We love terrariums, and we love LED lighting – put them together, and we’re in heaven. Richard Clarkson Studio‘s hanging Globe lamps are self-sufficient worlds complete with LED lights that sustain the plants within. They’re great for adding a touch of green to any room, and they’re made to last – Clarkson says that some of their terrariums have been thriving for several years now. 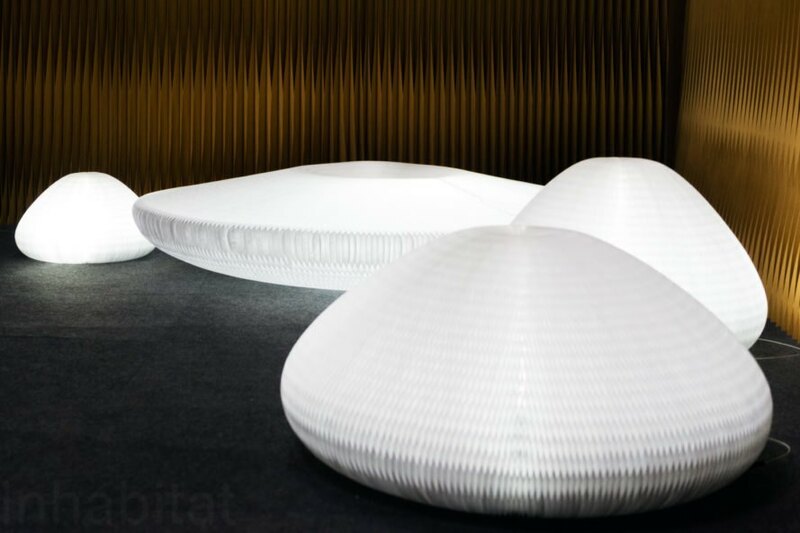 Molo has redesigned their Urchin Softlight to incorporate an LED lighting element within its flexible honeycomb form. 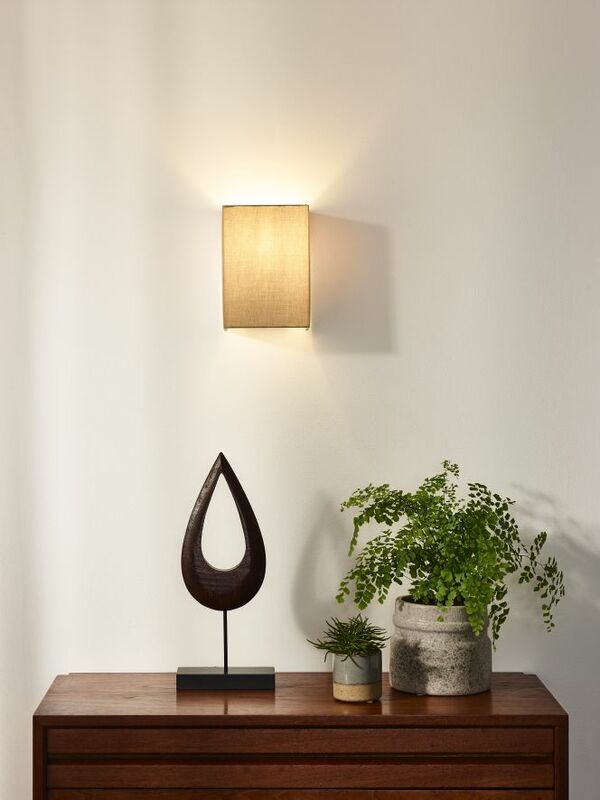 The lamps can be opened, closed, flattened, and expanded to suit a wide variety of lighting needs. Get the free Inhabitat Newsletter THANK YOU FOR SUBSCRIBING! 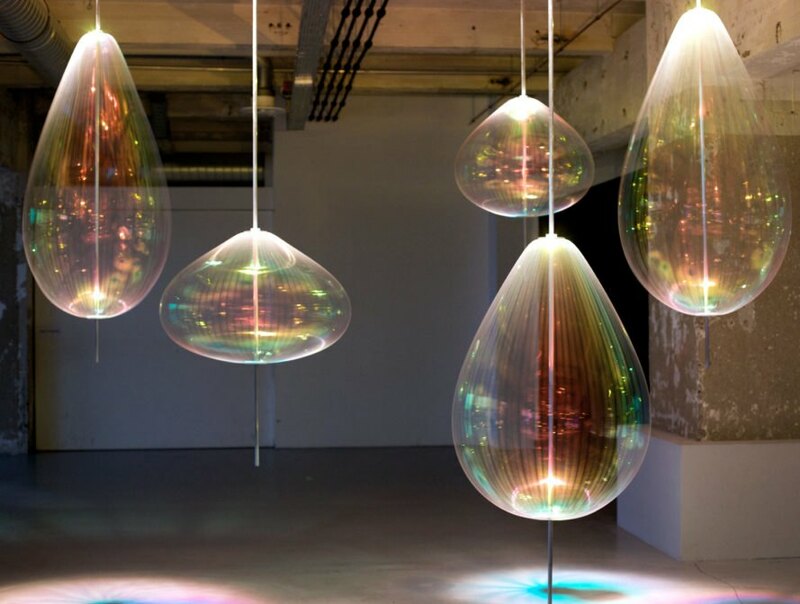 Martens & Visser‘s amazing Holon orbs look like gigantic spinning soap bubbles! Each Holon is made from long strips of transparent foil connected to a spinning electric motor that causes the bubble-like forms to bounce and shimmer. 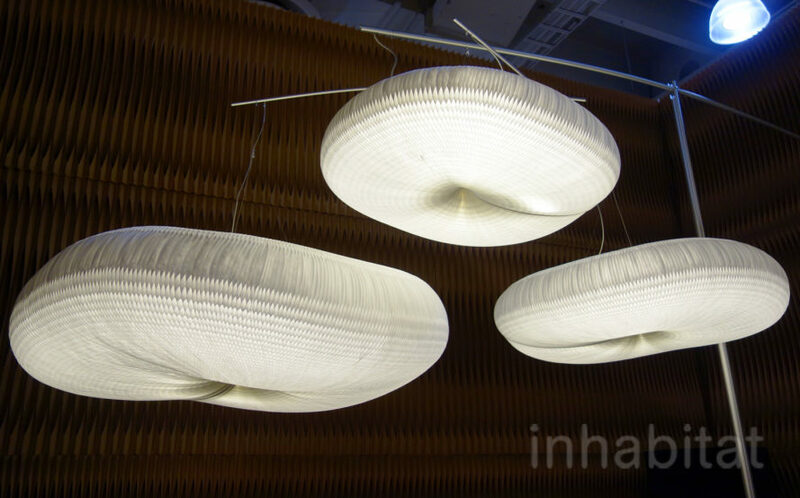 These might look like classic Edison bulbs – but they’re actually low-energy LEDs! 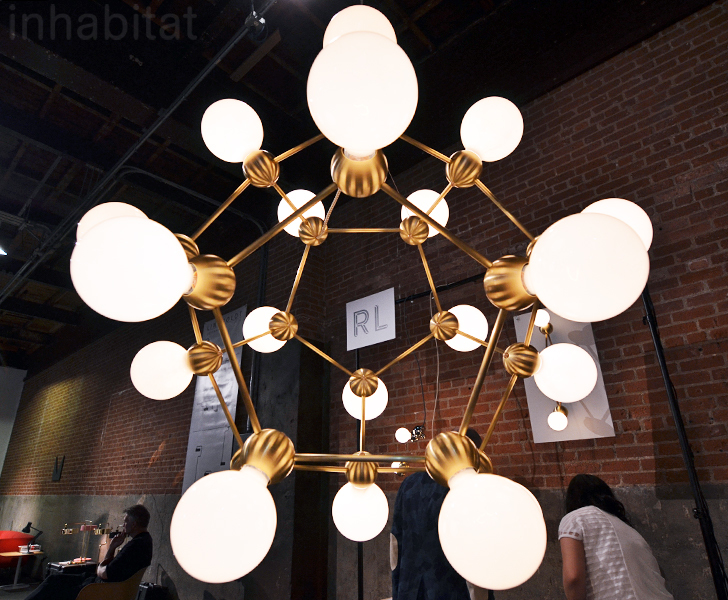 Tala‘s Voronoi Bulbs are modeled after forms found in nature – and the company plants ten trees for every 200 products sold. Trueing Studio’s elegant Janus Lamp is named after the two-faced Roman god and Saturn’s outermost ring. 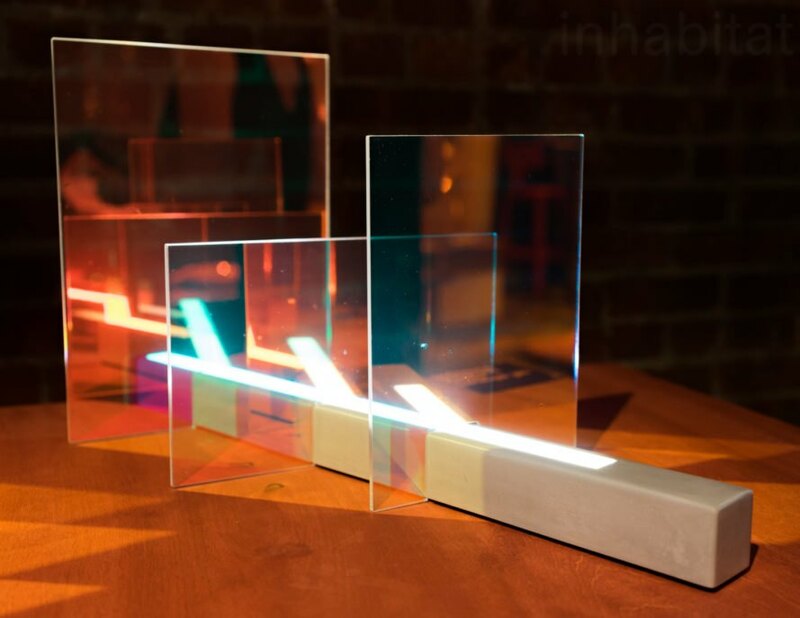 A band of LED light reflects off a slice of dichroic glass, casting colorful reflections reminiscent of the Aurora Borealis. 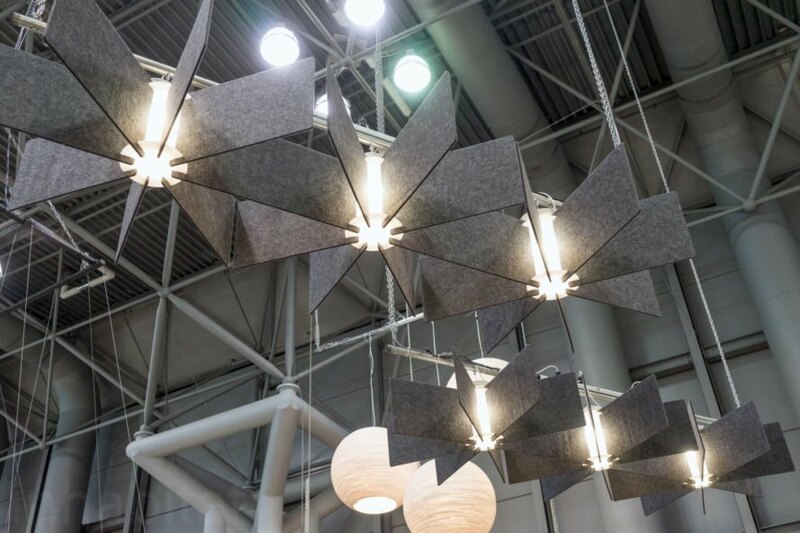 LightArt‘s Echo lamps provide both illumination and sound absorption – and they’re made from 50% recycled PET felt. 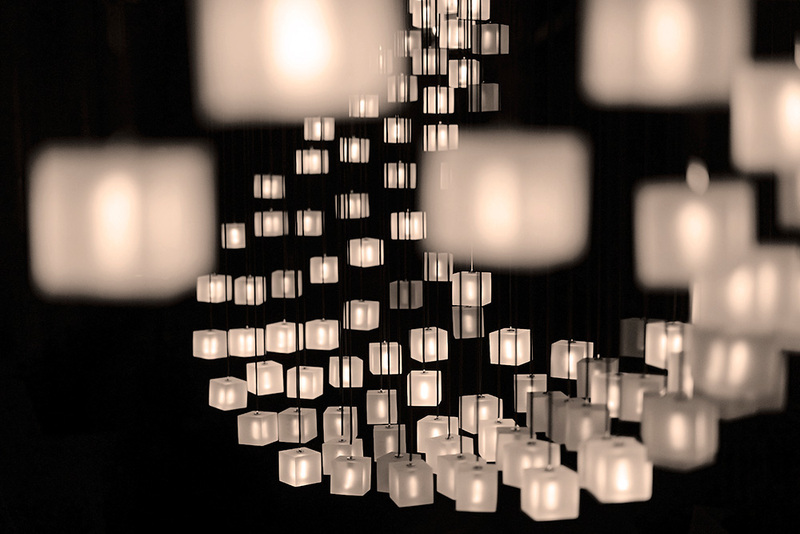 The lights can be hung alone or installed in sets to create multifunctional ceiling landscapes. 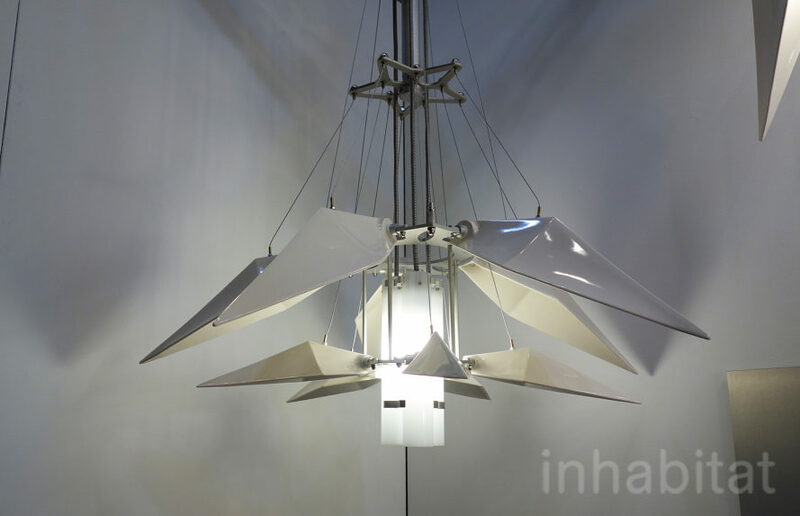 Dutch designer Frederike Top has developed an amazing collection of lights and mobiles made from a new material that combines acrylate with iridescent foil. Her Reflected Sequence Table Lamp consists of a single LED bar slatted with sheets of acrylate that reflect the light and make it appear to branch off into complex geometric forms. 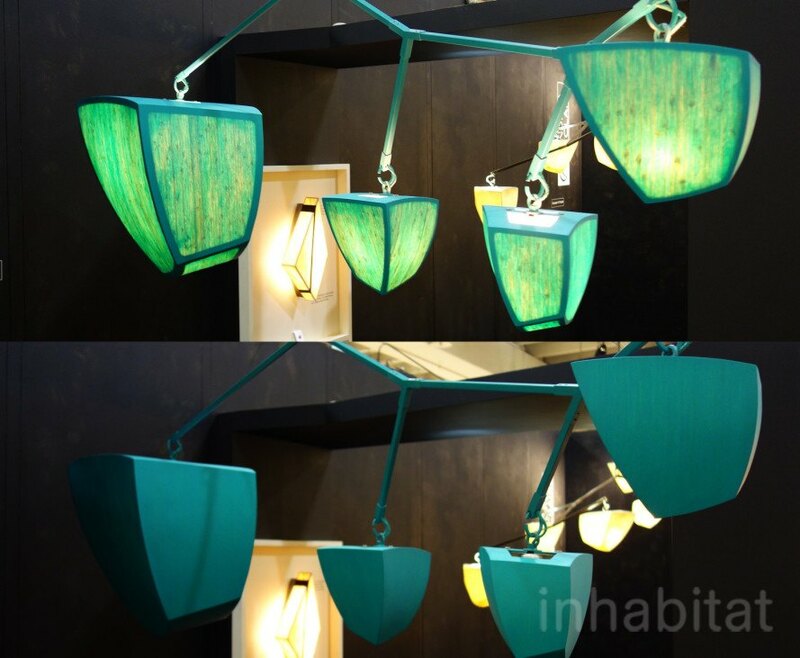 The material’s foil backing makes the lamp appear to change color and shape depending on the angle from which it is viewed. 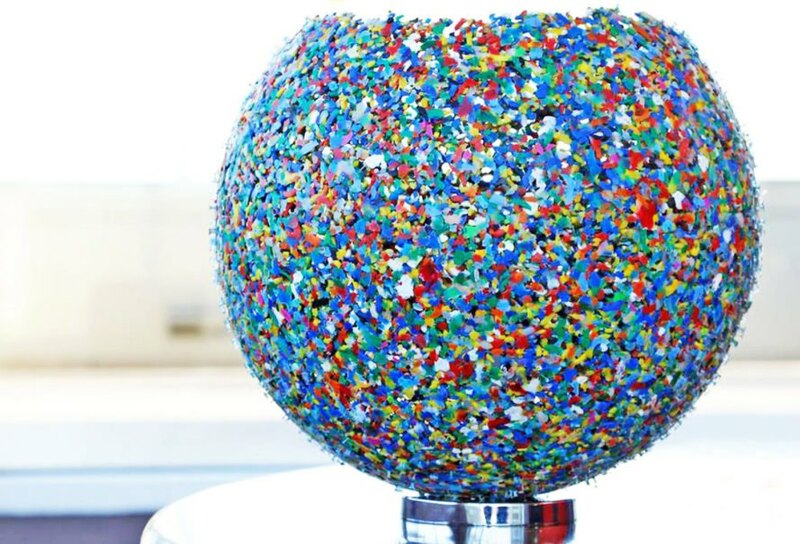 Argentina-based Mutan collects thousands of discarded plastic bottle tops and transforms them into captivating lamps! 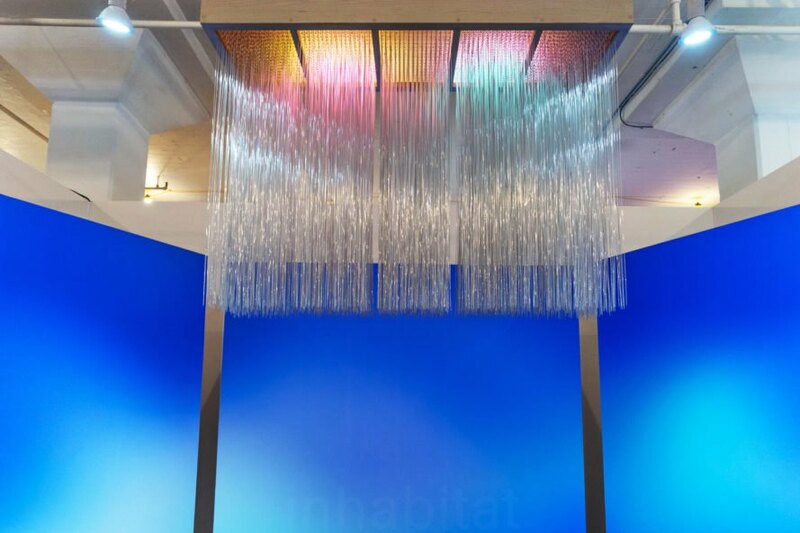 Each light is made from 600 bottle caps saved from the landfill. 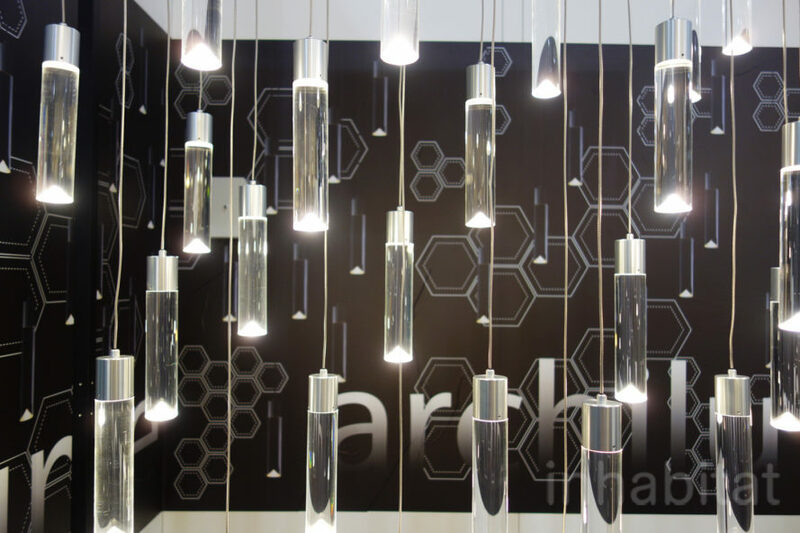 Dear Human‘s stackable Module Lamps consist of individual pieces that can be combined in an endless number of ways. The modules are made from an innovative material called “Paper Rock” that consists of 100% recycled paper and cement. 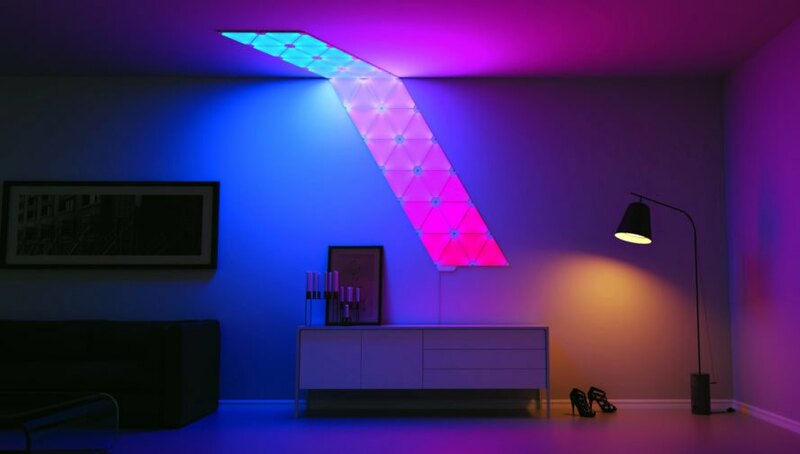 We’ve featured Nanoleaf‘s beautiful Aurora LED panels in the past – but we’ve never seen them light up quite like this! The company has developed a new Aurora Rhythm module that listens to nearby sounds to transform your wall into a giant music visualizer. Nanoleaf plans to launch the new device this coming September. At first glance, the Mobius Bench appears to be a simple seat – but when you touch it, a wave of color and light washes over the bench’s serpentine form. 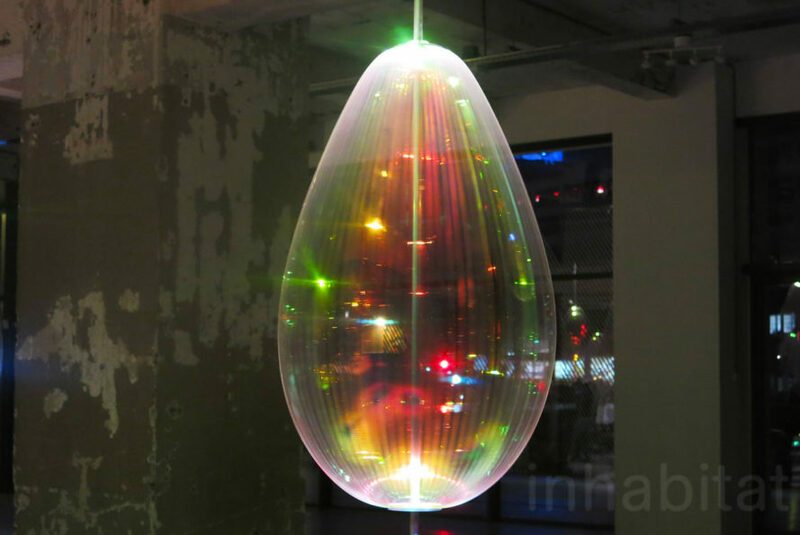 Louis Lim teamed up with 3form to create the interactive installation, which stole the show at Wanted Design.